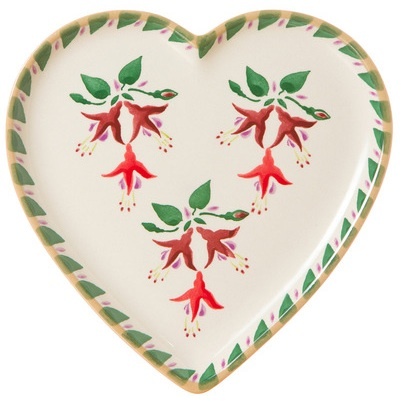 Charming yet versatile; these medium heart plates are delightful additions to your kitchen pottery collection. Each one is handcrafted to create beautiful yet durable pottery pieces; perfect for any event or occasion. Use them to serve tasty treats to lucky visitors or to present finger food during an exclusive party; the choices are yours!